After a very quiet 2013 Canon have to put some more steam into what they introduce to the market and I think that we will see a Canon be a lot more active in 2014 than they have been in 2013. So lets see what we might expect from Canon. Many of the APS-C models were updated in 2013, so don't expect many APS-C upgrades in 2014. I expect two upgrades coming next year. 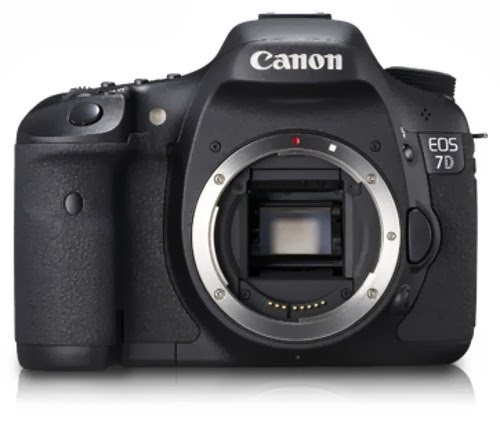 First off in the spring is the long rumoured and expected follow-up to the Canon 7D, the Canon 7D Mark II. The main focus will be the wildlife/action photographer, so expect large fps and a large buffer as the main selling points for this camera. Expect the camera to be around 20 megapixel as the Canon 70D. Many of the great features of the Canon 70D. In the autumn we will see the Canon 750D as a replacement from the Canon 700D. It will get the dual pixel AF from the Canon 70D, but otherwise be a modest upgrade from the Canon 700D, but will positioned as the bigger seller for the Christmas sales in 2014. Nothing happened in the full frame market in 2013, so expect new cameras in 2014. One will bring Canon into the megapixel race to compete against Nikon (Nikon D800) and Sony (A7R). Nikon has almost a two year advantage and as the sensor in Nikon D800 were made by Sony it is clear for Canon that Sony also would hit the market with a 36 megapixel camera. I think it will be a late summer announcement in August and it will be called Canon 4D which looks like the most obvious naming for this camera. Another fighting point in the full frame market is who is going to hit the $1200 dollar price market first. It is going to be a hard fight between Sony, Nikon and Canon, so I expect a autumn release of the Canon 6D Mark II that might not hit the $1200 price point, but will be close. I expect a launch price of $1500, so with rebates it might get close to the $1200 price point. It will be a modest upgrade from the current Canon 6D. It is time to wake up, and it is going to be a very interesting year. Canon is feeling the pressure from many different angles. Sony is very innovative and price competitive, Nikon has been pushing out good products in 2013 and everyone is pushing to get a hold of a declining market. The camera companies have to find the right combination of features, price and introduction time to be the winner in 2014.